My first winter photo workshops are now online over on my PHOTO TOURS PAGE. All my winter 2019 tours are now full. There will be several more winter 2020 dates announced soon as well. As with 2019, all 2020 dates will be with me co-guiding with other tour operators. I simply don’t have the time to run my own tours anymore – which is a good thing! With my winter 2018 workshop season just having come to an end, I’m happy to announce some dates for winter 2019. 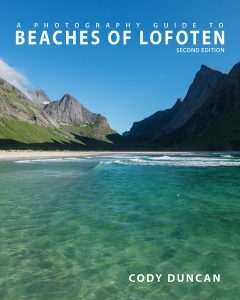 Lofoten Islands with Jenny Brühlmann of Amazing Views Tours – Feburary 25 – March 3, 2019. German and English speaking guides. Head over to my Photo Tours page for more info. It has been a busy finish to the autumn, with the best September weather that I can remember, and a pretty good October as well: Seeming endless days of sun and nights of northern lights – the past five nights in a row as I write this on Wednesday. But now the weather has finally turned a bit and snow is falling on the mountains above my house. So I have finally gotten around to publishing my photo tour schedule for 2018. I’m keeping a light schedule for my group tours this year as I have already been booked on a number of individual private tours and guiding for other companies. If you are interested in a private tour, then contact me soon, as my schedule is about as full as I want it to be, so I wont be taking on many more trips for 2018. Along with the already Scheduled workshops, I have just published 3 new Lofoten photo tours for summer and autumn 2017. I’m happy to announce I have two new Lofoten Photography workshops available. The first workshop is a cool road trip from Lofoten to Tromsø via Senja. This is from October 5 – 10, 2016. Not a standard photo tour, we’ll use camper vans from Acrtic Campers as our portable homes for the trip, giving us ultimate flexibility to chase the best autumn light. The second workshop is an winter photo tour on Lofoten. March 10 – 16, 2017. Based around the last full moon of the winter season, this will give us some nice conditions for photographing the northern lights should they appear. More info and itinerary – MIDNIGHT MOUTNAINS 20116 PHOTO WORKSHOP. After the success guiding their 2015 Lofoten Photo workshop, I will once again be guiding for Muench workshops alongside Andy Williams for their 2017 Lofoten and Vesterålen photography workshop. The tour begins on Lofoten, where we will focus on capturing the winter landscapes and, if we’re lucky, nights full of northern lights. We will first be based on Sakrisøy, near Reine, to focus on the western parts of the Islands, with the iconic peak Olstind just out the front door. 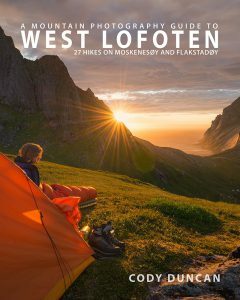 Next we will travel to Leknes, so we can be near the fantastic beaches of Vestvågøy. After Lofoten, we will drive several hours north to Andenes on Vesterålen. Here, we will take to the sea on private rib boats for two days of whale watching in the dramatic winter light. Contact Muench Workshops for more info and booking.